Dr.Malpani's Blog: Do health libraries serve a useful role in the age of google ? Do health libraries serve a useful role in the age of google ? In this day and age, where so much health information is so easily available online for any interested patient who wants to find out more about their problem, is there any role for health libraries and health librarians ? Have they become dinosaurs ? . Thanks to Google , anyone can go online ; and there are lots of reliable websites which provide patients with the information which they need . It’s now much easier for them to make sense of what their doctor is telling them . Thanks to the internet, patients can become well-informed partners in their medical care , and this is all for the best. However, the reality is that libraries and librarians have become even more important in this age of information overload . Part of the problem is that most patients are not very sophisticated users of information . They often get confused and misled by unreliable source of online information – and they cannot make sense of what is right and what is wrong, especially when they come across sources which provide diametrically opposite information . When this happens, they get paralysed, and start losing confidence in all online information ! When there’s so much garbage online, they need help to separate the wheat from the chaff. Patients need a helping hand , and in the past this was provided by the family doctor , who was supposed to serve as friend, philosopher and guide . In those days, he was the only source of information , and you had to blindly trust him. It was much easier to do this in the past , because you choices were limited; and because he was your family doctor , you often had a long term lifelong relationship with him. It was far more than just a commercial transaction . However, times have changed, and there is little point in hankering over the good old days , when the doctor would make house calls , and would help to heal you without charging an arm and a leg . Times have changed , which means we need to evolve as well . While it is important to continue trusting your doctor , you also need to verify that what he is saying – in fact, the verification has become as important as the trust , and they create a positive virtuous cycle. Thanks to the internet , it’s much easier to verify and check what your doctor is saying ! However, this is not true for all patients. While sophisticated users of information (college graduates , IT professionals and healthcare professional) will not have a problem sorting out good information from bad, for the average patient this is still a daunting task. This is the reason why libraries and librarians are so important today. Librarians are information professionals , who are trained to analyse information ; make sense of it; interpret it; and explain it to end users . Librarians can guide patients to reliable curated sources of information, which is regularly updated and can be trusted . 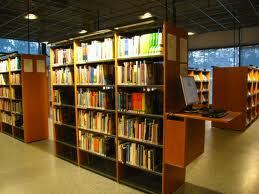 In fact, librarians have been responsible for creating many of these trusted sources of information themselves ! Even more importantly , patients find it much easier to trust librarians . They are not threatening or intimidating; and have been taught as professionals to be approachable and friendly . Because they are not healthcare providers. It's much easier for patients to ask them questions and get relevant information, rather than talk to intimidating healthcare professionals , who are often so busy and starved for time that they do not have the energy or the inclination to answer the hundreds of questions which patients have. Since librarians are information experts , it’s much easier for them to repackage the retrieved information in a format which patients can understand and make sense of ! The role of the health librarian can increase, but only if librarians learn to reinvent themselves ; and start positioning themselves as healthcare information professionals , who can serve as a bridge between doctors and patients. Clever libraries and librarians will provide most of their services online, so it’s much easier for users to access them. They will leverage technology, so they can reach out to more patients – and more patients will reach out to them – both before going to their doctor; and afterwards as well !